HTC held a press event today in New York and we were hoping to see some Android devices, but Windows Phone 8 was the start of the show. 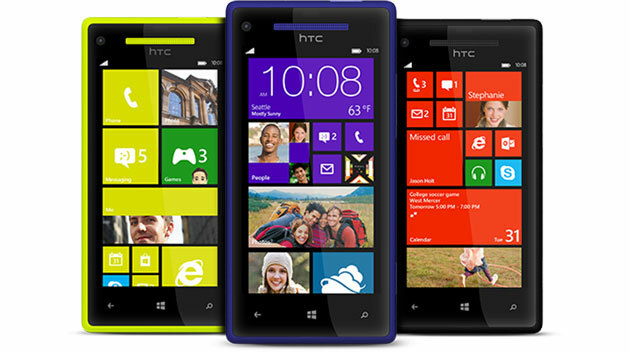 CEO Peter Chou introduced two new devices including the Windows Phone 8X and 8S, which feature HTC’s iconic design mixed with Microsoft’s bright colors. Both devices will be available beginning in November through more than 150 carriers in 50+ countries including AT&T, Verizon Wireless and T-Mobile USA. Android fans shouldn’t be too jealous because these devices are basically the Windows versions of the One X and One S. Hardware specs are pretty much the same across the board, but HTC did include an exclusive built in amplifier for Beats Audio. Check out the videos below and let us know what you think of the design. Would you like to see HTC produce some Android devices with these bright colors?